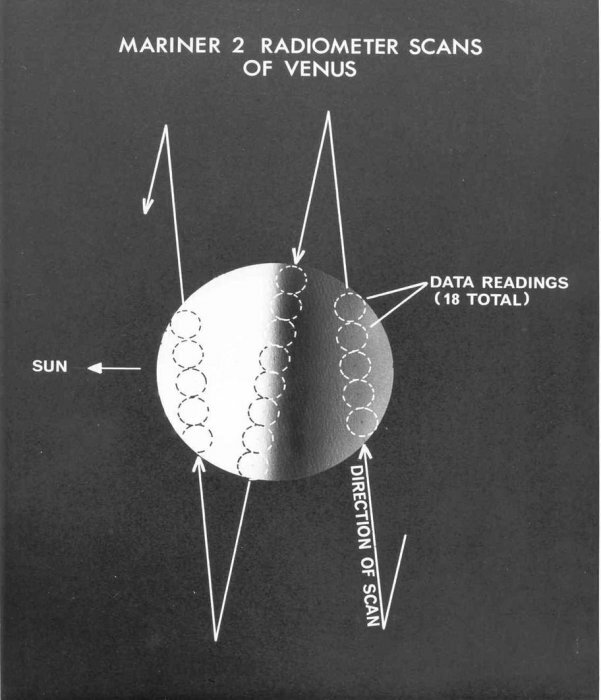 Mariner 2 microwave sensor scan pattern during Venus fly-by, December 1962. Mariner R was renamed Mariner 2 at launch. Credit: Photo courtesy of Doc Ewen.